With a combined experience of 40 years in the legal field of conveyancing and litigation, we have the in-house expertise to assist you in all your legal needs. Our commitment to our clients is to always conduct business in a professional honest manner, thereby winning trust and building long-term relationships. We also travel within the entire Garden Route region to accommodate our client's legal needs. 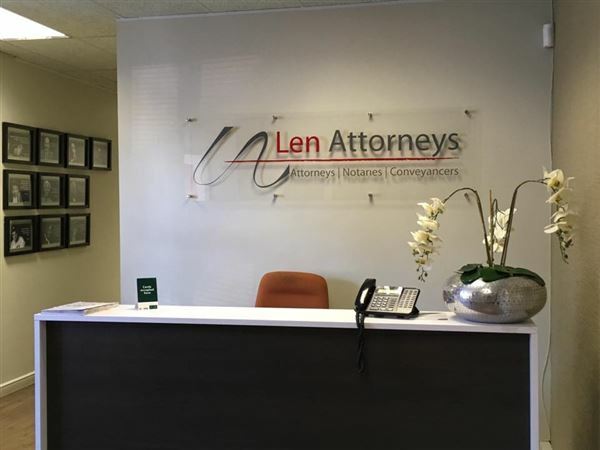 Through the principles and ethos infused by Nathan Len, founder of the firm, with the leadership and enthusiasm of all the Attorneys in the firm, and a dedicated administrative team, Len Attorneys continuously strives towards service excellence both legalistically and also business wise. Are you having legal problems but don't know who to talk to? Call our George Branch on 044 873 5150/5023 or admin2@lenattorneys.co.za. We also have offices in Johannesburg and Pretoria.